The hardest part wasn’t losing Rianna Jewelle, it was learning to live without her. As of this writing, it’s been three weeks since she left us. It was hard. I’m sure some of you who experienced losing someone due to death and sickness can relate to this feeling of missing her every day, struggling to continue with life and the grieving process, and trying not to relive her happy and last moments. I’ve been heartbroken so many times before but Rianna’s death has got to be the most heartbreaking, painful, and devastating of all. We spent two years fighting for her life. We thought she’s on her way to recovery. She suffered from NMDA receptor encephalitis/ovarian cyst teratoma/pneumonia. We are prepared to take care of her as long as it takes, but God has other plans. But instead of dwelling with pain, we chose to focus on what’s left behind. I still have my parents, my sisters, brother-in-law and their kids. I still have a future to look forward to. Life must go on, as they say, no matter how much we miss her. Easy to say, but hard to do, I know but we have to. I have to. Rianna’s death taught us to be more loving, concern, understanding, patient, considerate, compassionate, and sensitive to others. Compared to other patients, Rianna received all the love and the best of care. Thank God for our families, friends, and relatives who supported us. Love and support overflowed during our difficult times from start until her last breath. A few weeks ago, we visited two good family friends at the Philippine Heart Center. 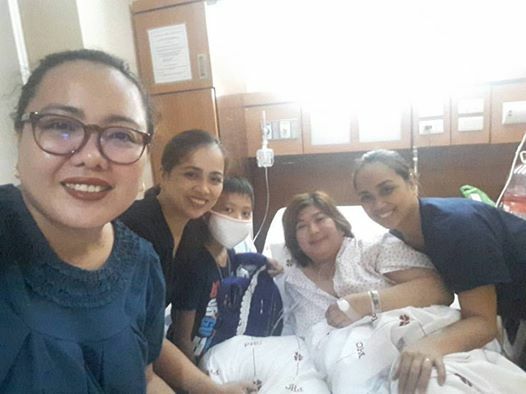 One of them was a good neighbor and close family friend, 38-year-old Marie Anne “Meanne” Concepcion-Magpantay, who was diagnosed in February 2016 with myelodysplastic syndrome (a rare blood disease). Recently, she was diagnosed with bartter syndrome, a rare kidney disorder where the patient pees all her electrolytes. It’s a rare genetic disease that can be found mostly on White Americans. Meanne has been undergoing blood transfusion (103 bags all in all) for two years now. She needs one to two bags of blood every month and has to undergo iron therapy twice a week. To help her, she needs PhP 70,000 a month and lifetime medication. 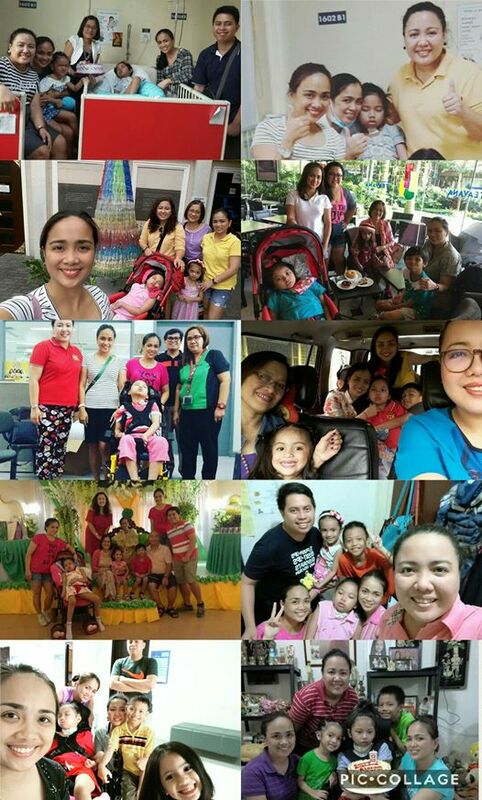 When Rianna died, something urged her mom and us to visit Cottolengo Filipino, home of abandoned and orphaned children of about 0-15 year-olds with disabilities. There we saw poor, abandoned, orphaned, unwanted, neglected, and disabled kids. It pains to see these kids in these conditions. While we struggled to extend Rianna’s life, some of the parents/families of these kids just left them outside Cottolengo’s gate. How can they leave these kids on their own? There we donated most of Rianna’s unused medical supplies: gauze, hospital bed, stroller, among many others. Cottolengo Filipino relies on the donations of generous and selfless persons and companies to continue its mission of love on behalf of the abandoned disabled persons, especially children. They need your help. I am posting this not to brag about our donations or acts, but to make everyone aware that there are still sick people, abandoned and orphaned children out there who need our support and care, but who are still struggling to survive every single day. As they say, “helping a person will not necessarily change the world, but it will change the world for that person.” Hope you find in your heart to help these people. It will go a long way for them. By the way, we’ve found a beneficiary for Rianna’s yellow wheelchair. He’s Euan Jaime Manuel, nephew of one of our good friends and churchmates, Albert Ano. He’s a hydrocephalus patient and he’s turning seven years old this October 20. Happy birthday in advance Euan! For those who’d like to help, Euan will need diapers, catheters, and vitamins. You can send in your donations directly to his uncle, Albert Ano. He can be reached at +639175717411. Our journey with Rianna Jewelle. May you rest in peace, baby girl. We love you and we will always miss you. My sincere condolences to you Mylene. I hope you and your family are doing well. And Rianna is in a better place. We all pray for her.